Join ThanksUSA for an online road trip across the United States this summer and you could win a cool summer prize! 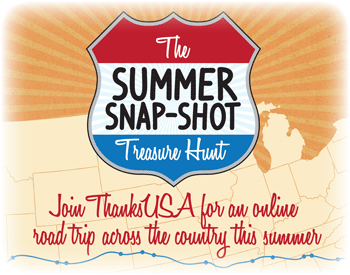 Each Sunday, ThanksUSA will post a new Summer Snap-Shot question. 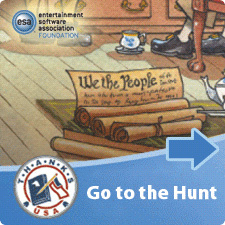 Decipher the question to figure out where in America we are and submit your answer by the following Saturday. Each week, one correct entry will win an iPod! There will be a total of 12 weekly questions. Participants who submit correct answers to all 12 questions will be eligible to win the Summer Snap-Shot Grand Prize...a Flip Video Camera!